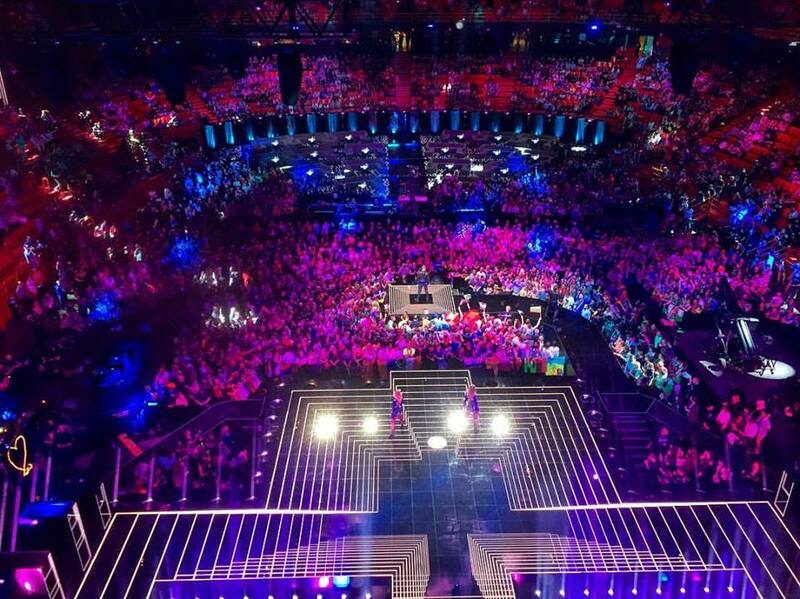 Sunday, time to summarize the 22 days of Eurovision Song Contest that I have been stuck in a chair up in the roof. 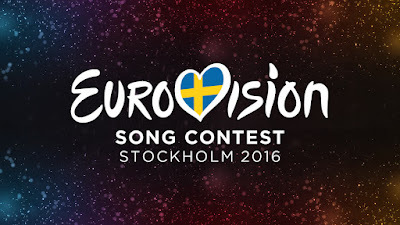 It has been long days during the rehearsals but pretty fun, lots of laughs, Bamse Stories, light sniping, strange clothes, flypaper, Finish glittering dinosaurs, Pepsis, paper clothing, pyros etc etc, the list could be endless. Anyway, it was a privilege to be part of this karaoke circus! 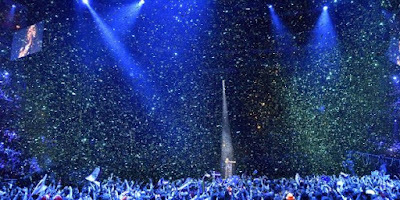 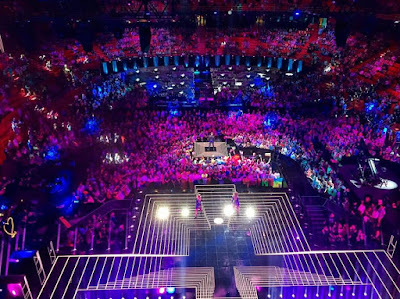 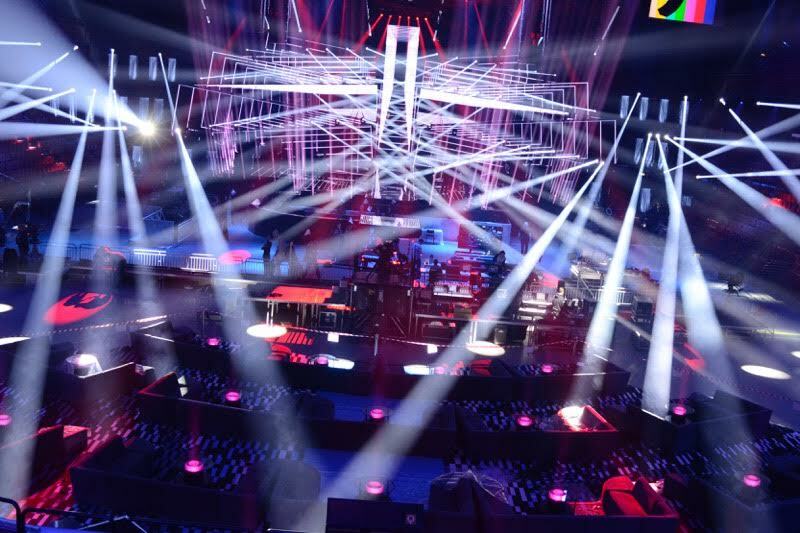 Here are some facts about the vast technical production that goes into Eurovision Song Contest. 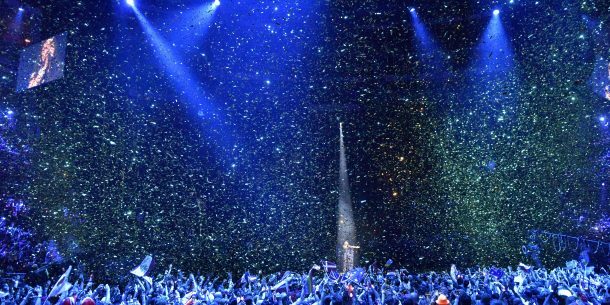 First an pretty odd but fun fact is that the venue has sunk 35mm since work started on April 4! 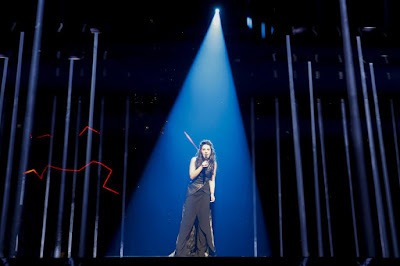 The production features the work of technical director Ola Melzig, with lighting design by Fredrik Jönsson, set design by Frida Arvidsson and Viktor Brattström, video design by Mikki Kunttu, and pyro design by Markku Aalto. 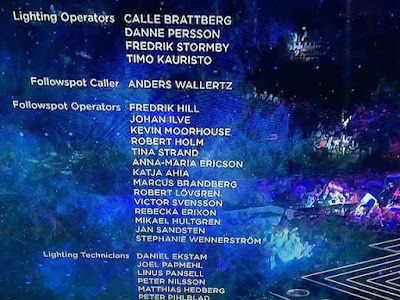 Lighting programmers are Timo Kauristo, Danne Persson, Fredrik Stormby, and Calle Brattberg, with video programming by Neil Trenell, Pekka Martti, and Fraser Walker. 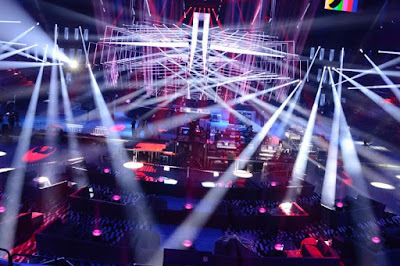 Technical partners for the show and broadcast are Litecom, Pixmob, MA Lighting, Green Hippo, Cyberhoist, Live Media Group, Visual Act, and Barco. 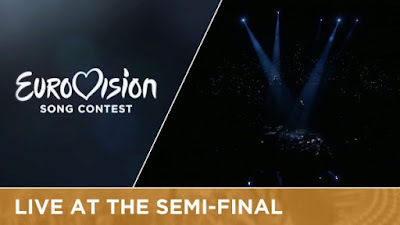 Georgia's contribution Nika Kocharov & Young Georgian Lolitaz - Midnight Gold, here you see all the back followspots in action. Check out the Video and you can see us working :) I'm nr 4 from the left. 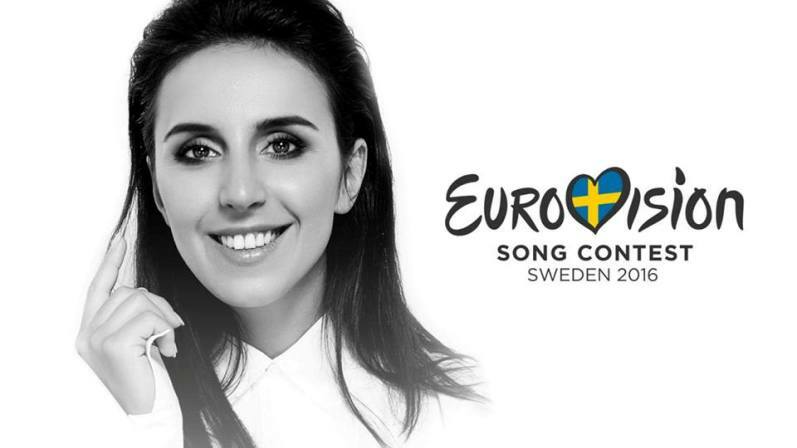 The Winner Jamala performing the song "1944", also my beam on her! 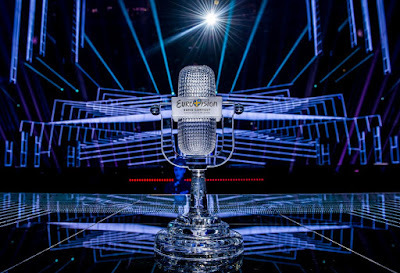 The ESC Prize 2016 with a back followspot beam lighting it up! 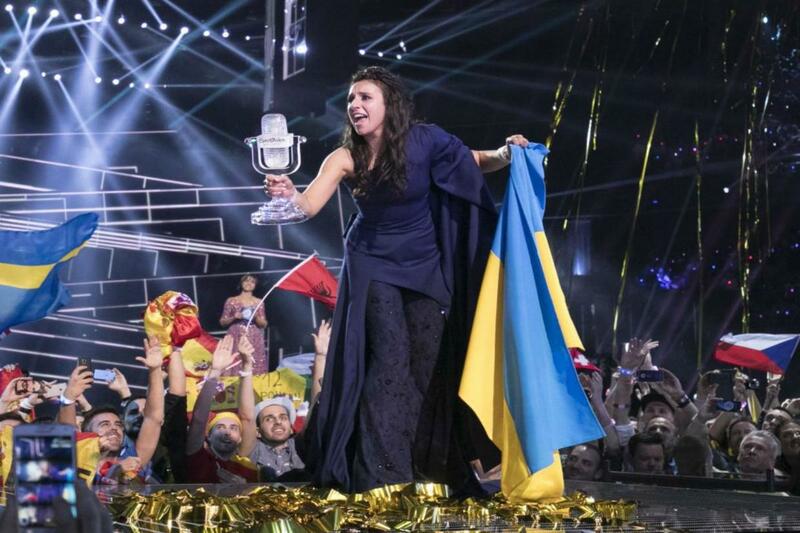 Today's tune "1944" is a song performed by Ukrainian singer JAMALA (Ukrainian: Джамала, Crimean Tatar: Camala). It represented Ukraine in the Eurovision Song Contest 2016 and won with a total of 534 points. The national juries voted the entry by Australia first with 320 points, and the televote voted the entry by Russia first with 361 points. 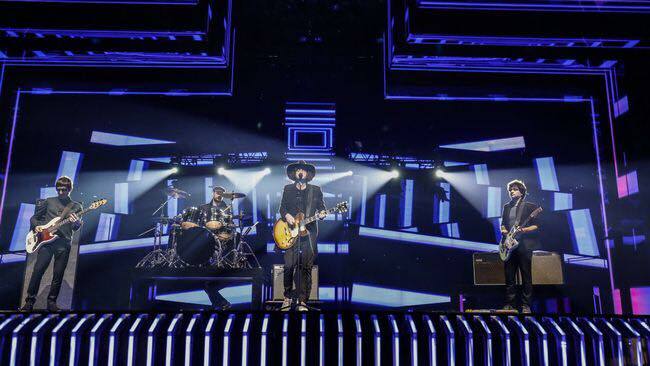 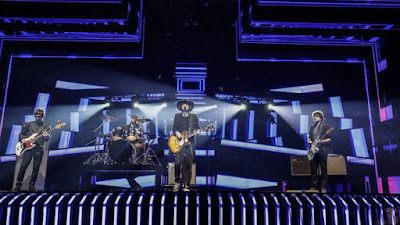 The televoting result for Ukraine, of 323 points, however, was sufficient, when added to their jury score of 211 points, to put them in first place, with a grand total of 534 votes, leaving Australia second and Russia third. 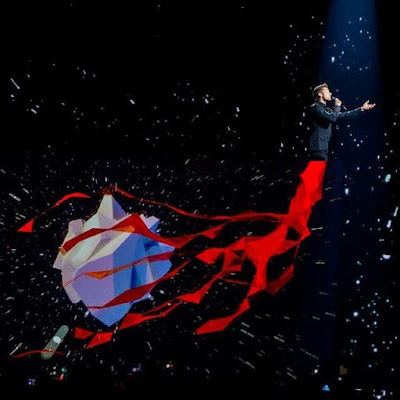 The lyrics for "1944" concern the deportation of the Crimean Tatars, in the 1940s, by the Soviet Union at the hands of Joseph Stalin because of their suspected widespread collaboration with the Nazis. 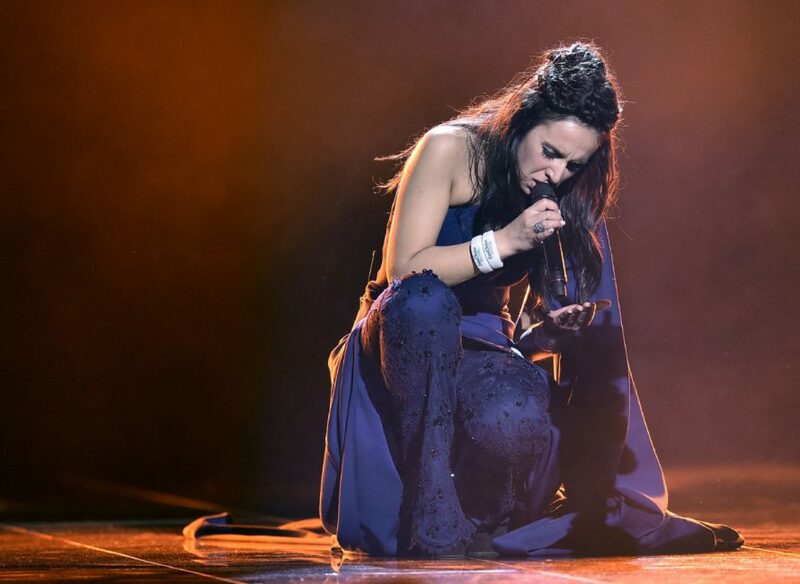 JAMALA was particularly inspired by the story of her great-grandmother Nazylkhan, who was in her mid-20s when she and her five children were deported to barren Central Asia. One of the daughters did not survive the journey. 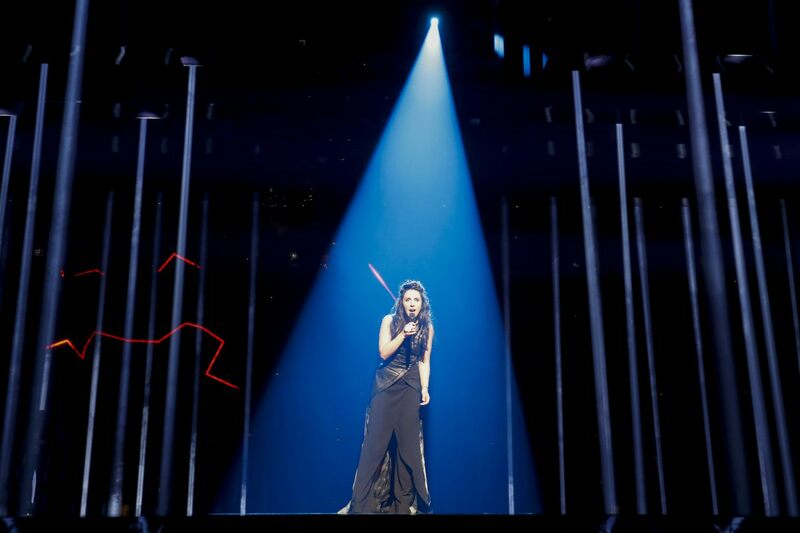 Jamala's great-grandfather was fighting in World War II in the Red Army at this time and thus could not protect his family. The song's chorus, in the Crimean Tatar language, is made up of words that JAMALA had heard from her great-grandmother, reflecting on the loss of a youth which could not be spent in her homeland. 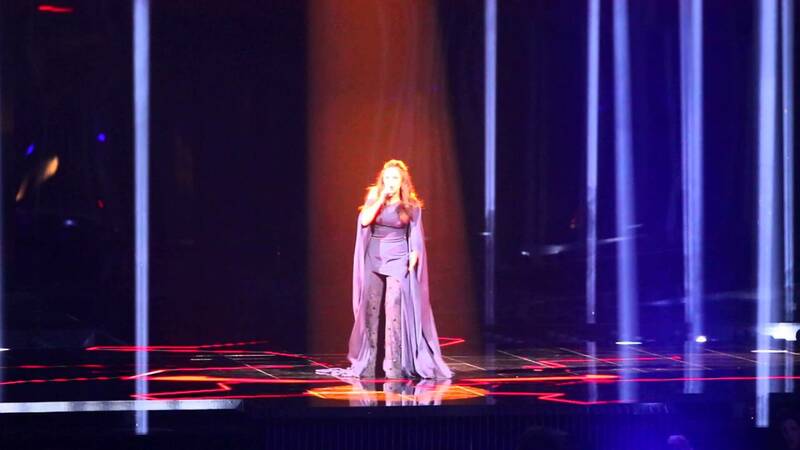 The song features the duduk and the use of the mugham vocal style. 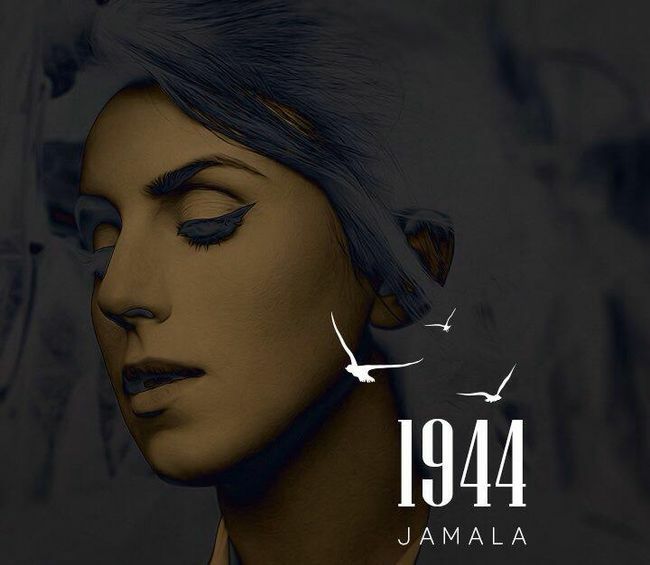 Listen to ”Jamala - 1944" on Spotify!